The Memorial Chapel at King Edward’s School. King Edward’s School’s Memorial Chapel is Grade II* listed and was originally part of the School building in New Street, designed by Sir Charles Barry in the 1830s. When KES relocated to Edgbaston in 1936, the upper corridor was moved stone by stone to be rebuilt in the early 1950s as a Memorial Chapel. 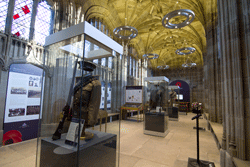 The Chapel has recently been renovated to host an exhibition marking the centenary of the First World War. ‘King Edward’s School and the Great War’ commemorates Old Edwardians who served and died in the conflict. The exhibition includes a virtual Roll of Honour, a supporting display of artefacts and memorabilia and a film entitled ‘Tolkien's Great War’ which considers the impact of the conflict on the author and how his experience on the Western Front influenced his writing. Bus: from Stephenson Street in the city centre, take the 61 or 63 bus. Alight on Bristol Road approximately 2.5 miles later, cross the road and walk to Park Vale Drive. 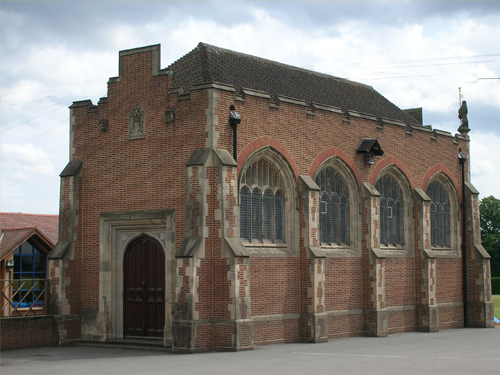 Car: the Chapel is accessible via the School’s Park Vale Drive entrance, via Bristol Road.